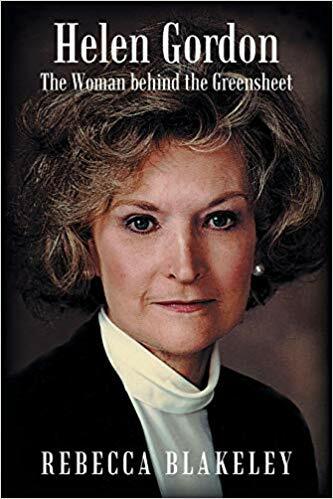 In "Helen Gordon: The Woman Behind the Greensheet," the author lovingly narrates her mother’s journey towards success and the legacy that she brings to her family and their community. Through her mother’s story, the author wishes to create a positive impact to every reader by showing them that there’s always a way for a person to make their dreams and goals in life come true. Rebecca G. Blakeley has worked with her mother for more than 29 years. Throughout those times, Rebecca became witness to Helen Gordon’s remarkable determination and perseverance that it inspired her to work as hard as she did. Today, she shares her mother’s story for others to see that a person can do anything if they only set their hearts and minds to it. “Helen Gordon: The Woman Behind the Greensheet” takes readers back to a time where it all began for Helen Gordon. Blakeley narrates her mother’s roots, the world that she grew up in, and the beginning of when she started her own company: Greensheet. Readers will get to know the no-nonsense, pragmatic woman who was more than determined to be her own boss. Throughout each chapter, each one will discover her relentless and hardworking spirit while giving a glimpse of her artistic and creative soul. The author retells how her mother expanded her company within eight years without the help of bank loans and despite the challenges that come along the way. All in all, readers will discover the story of a humble company that is now a household name in the state of Texas. Readers will also get to know Helen Gordon’s vivacious personality, irrepressible optimism, and sense of humor that helped her find success in her personal and professional life. Through her mother’s story, the author wishes to create a positive impact to every reader by showing them that there’s always a way for a person to make their dreams and goals in life come true. Catch “Helen Gordon: The Woman Behind the Greensheet” as it joins the upcoming Los Angeles Times Festival of Books. Blakeley’s inspiring memoir and tribute to her mother will be displayed alongside hundreds of other book titles from different genres as this grand celebration unfolds from April 13-14, 2019, at the University of Southern California. Don’t miss it! Rebecca G. Blakeley worked for the Greensheet and Gordon Flowers with her mother for more than twenty-nine years. She is currently retired and works as a volunteer in the Houston community.